« What can Nebraska teach the American West about managing water? A lot. Agricultural lands make up roughly half of the acreage required to recover the monarch, so recruiting farmers and ranchers who manage these large-scale landscapes will be a game changer. They are essential allies in restoring prairie habitat for a variety of pollinators that will benefit from their work on the ground. Through the exchange, landowners are paid to create, maintain and improve habitat on their property, with projects ranging from full prairie restoration to supplemental planting of milkweed within marginal agricultural fields. Milkweed is vital to monarch success, since butterflies lay their eggs and caterpillars feed exclusively on this milky sap-filled plant. The exchange is currently focused on developing projects with landowners in Texas, Missouri and California. Amy Greer is a sixth-generation rancher in Brady, Texas. 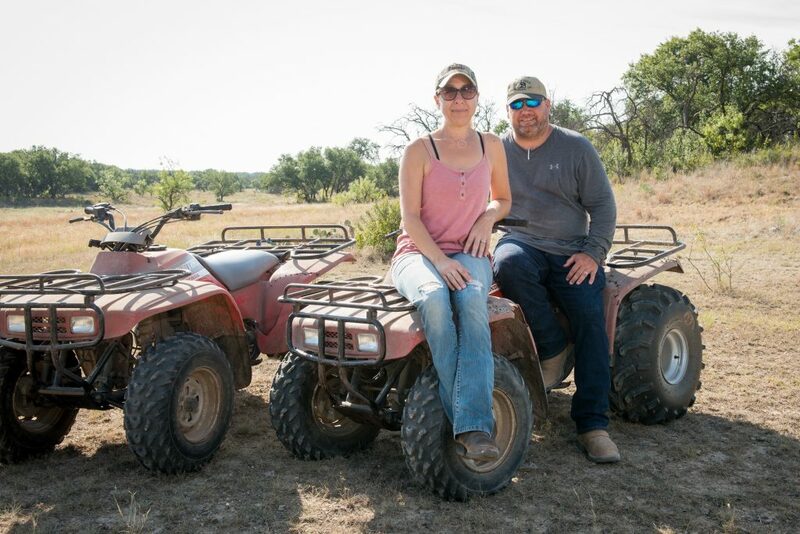 She and her husband, George, decided to participate in the exchange to help re-establish native milkweed and wildflowers on their ranch. Amy is also a trained wildlife biologist. Watch this video to learn more about George and Amy Greer’s participation in the Monarch Butterfly Habitat Exchange. Ultimately, restoration isn’t possible without funding from investors and donors who make these projects possible. Potential investors and donors include food, chemical and seed companies, state farm bureaus, wildlife agencies, philanthropic organizations and concerned citizens. The motivations for participation can range from contributing towards corporate sustainability goals, maximizing conservation outcomes, and ensuring that the monarch butterfly stays off the endangered species list. We need all of the support we can get to meet our ambitious goals and change the trajectory for the beloved monarch butterfly. Smithfield Foods, a global food company that is also the world’s largest hog producer and pork processor, is the first food company to participate in the program, contributing $300,000 to restore key prairie habitat for monarchs in Missouri. Smithfield invested in this project because of its multiple sustainability benefits including providing habitat for pollinators, water quality benefits, carbon sequestration and biomass for biogas revenue. Anyone from agribusiness leaders to concerned citizens can help support projects on the ground by contacting the exchange or donating through the website. All funds raised through the Exchange go to Biodiversity Works, a 501 (c)(3) non-profit organization responsible for administering the program. Visit www.monarchhabitatexchange.org to learn more. This entry was posted in Habitat Exchange and tagged conservation, Endangered Species Act, environmental defense fund, milkweed, missouri, monarch butterfly, prairie, Smithfield Foods, Texas, U.S. Fish and Wildlife Service, wildlife. Bookmark the permalink. Both comments and trackbacks are currently closed. Our book club is currently reading Flight Behavior by Barbara Kingsolver. I highly recommend this book to anyone interested in the Monarchs. Good luck on this much needed endeavor. The Monarch migrate through Osage country, Oklahoma. The powers that be are turning the Osage into a superfund project. There are many water sources that are now toxic. These some are major waters running through the land. Can you help? I am a fan of Monarch Butterfly’s and i have always been a fan from Ohio to California. I see Monarchs where I currently live in Southern California on occasion. I have not seen them as much as I used to 5 or 10 years back but, I see them sometimes. I am proud to be part of the effort to save Monarch Butterfly’s in the future. I may be sending a contribution sometime soon. Thank you for ALL you do for this Planet, for Monarchs and everyone concerned. Thank you, Alan. We need all the support we can get to save this magical creature! Restoring habitat for our magnificent monarchs is so wonderful! It makes my heart swell with hope. My daughter and I have been raising Monarch caterpillars for several years. I have several types of milkweed and other plants they enjoy. Last year we had a bumper crop of over 35, some were tagged. It is so rewarding to bring in the caterpillars and protect them, then to release the butterflies. Try it, but I have to warn you, raising Monarchs to save the species is highly addictive. I love this new habitat exchange!